Back in the summer of 1969, I took my first trip to Europe. My father, a piano importer, brought me to Vienna’s Bösendorfer piano factory. Together, my dad and I watched the world’s finest pianos being built by hand, in hundreds of meticulous steps. Each handcrafted piano had its own personality. And, as I played a selection of new pianos, my dad analyzed the personality of each and matched it to a client’s taste back home. Witnessing and enjoying this amazing Old World craftsmanship in person inspired in me a special appreciation of Europe — especially Vienna. This city’s devotion to the musical arts and its democratic embrace of culture are inspirational. In the first hours of a recent trip here, still bleary with jet lag, I stepped out of my hotel to get a feel for the city. I walked 50 yards to the open square in front of the Vienna State Opera — arguably the greatest opera house in Europe. There, on a big outdoor screen, the night’s opera (Puccini’s “Manon Lescaut” — sold out, as they all are) was being streamed live for anyone to enjoy. In Vienna, highbrow music is the stuff of daily life. Music lovers come to Vienna on a kind of pilgrimage. The homes of Schubert, Brahms, Haydn, Beethoven and Mozart all host museums — but they are small and rather forgettable. For the best music-history experience, I skip the composers’ houses and head for the Haus der Musik (hausdermusik.at). It’s wonderfully interactive, letting visitors learn and have fun at the same time. 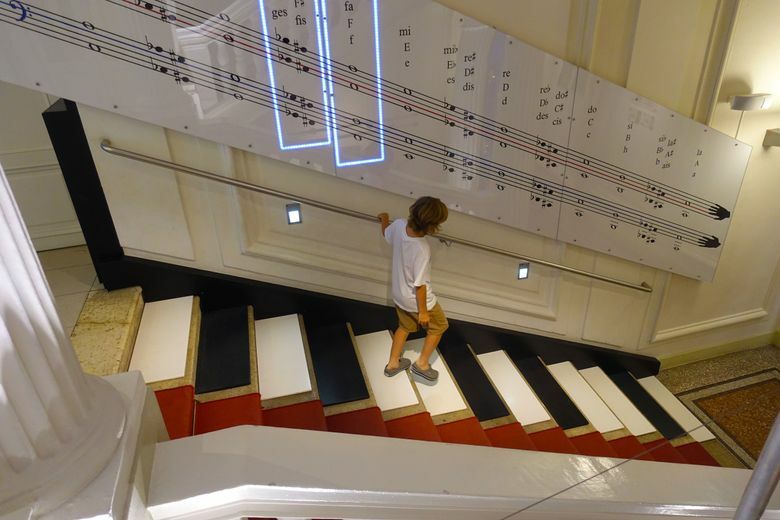 You can play musical scales with your feet on a staircase that functions like a keyboard, or try your hand at conducting a virtual orchestra. You’ll also find fine exhibits honoring the great Viennese composers and lots of actual historic artifacts. Vienna was historically such a mecca for classical music because of the passion and patronage of the ruling Habsburg family. These music-loving royals ruled Austria for more than six centuries from Vienna, and this imperial legacy makes the city one of the world’s most livable places. The city center is skyscraper-free, pedestrian-friendly, dotted with quiet parks and cozy cafes, and traversed by electric trams. Many buildings still reflect an 18th- and 19th-century elegance, when the city was one of Europe’s great capital cities — and at the forefront of the arts and sciences. The old center is corralled by its grand circular Ringstrasse. In the 1860s, Emperor Franz Josef had Vienna’s medieval wall torn down. He replaced it with this impressive boulevard, which arcs nearly 3 miles around the city core. One of Europe’s great streets, the Ringstrasse is lined with many of Vienna’s top sights. For a handy do-it-yourself budget tour, you can hop on a tram and make the loop. Because this ring road is actually older than all the buildings that line it, what you see is very “Neo”: Neo-Renaissance, Neo-Gothic, Neoclassical, and Neo-Baroque. The choice of style seems to fit each building’s function. The Austrian parliament building is Neoclassical — because democracy came from ancient Greece. The city hall is Neo-Gothic — recalling the age when local merchants ran the government. The museum buildings are Neo-Renaissance — for a spirit of arts and learning. And Vienna’s Imperial Court Theater (Burgtheater) is Neo-Baroque — from the age when opera and theater flourished. The Habsburg family ruled Europe’s greatest empire from their two luxurious Vienna palaces. Schonbrunn Palace, with its expansive grounds standing at the edge of the city, was their summer residence. Their main palace, the Hofburg, dominates the town center. This imposing and sprawling complex grew with the family empire from the 13th century until just before World War I. While the last Habsburg checked out in 1918, the palace is still plenty busy. It has the offices of the Austrian president, and is home to the Spanish Riding School (with its famous Lipizzaner stallions) and the Vienna Boys’ Choir — not to mention hundreds of government workers. The palace itself welcomes the public to tour the lavish Imperial Apartments. They seem to have been designed to give the royal residents a grandeur fit for a god. After all, kings and emperors like the Habsburgs claimed that God himself ordained them to rule with unquestioned authority. The final wing of the Hofburg was built with that imperial splendor in mind just a few years before World War I — and the end of the Habsburg dynasty. Now, after losing World War I and its empire, Vienna is more laid back. The city enjoys the cultural and physical remnants of its imperial past as both an inspiration and a playground for living well. 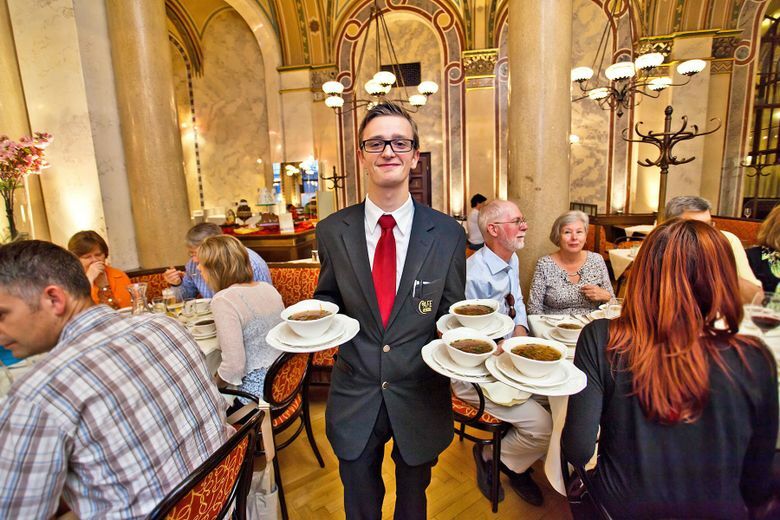 It must be nice to be past your prime — no longer troubled by being powerful, able to kick back and enjoy the good life Viennese style: masterful music, wonderful pastries and awe-inspiring art. Sleeping: Hotel zur Wiener Staatsoper boasts 22 traditionally elegant rooms just a block from the opera house (pricier, hotel-staatsoper.at). Pension Kraml is a charming, family-run space offering 17 homey rooms (budget, www.pensionkraml.at). Eating: Lugeck serves the classics with a modern flair (Lugeck 4, lugeck.com). Cafe Restaurant Palmenhaus overlooks a garden of the Hofburg palace (Burggarten 1, palmenhaus.at). Getting around: Vienna is compact and walkable, and the city’s transit system is fast, clean and easy to navigate (wienerlinien.at).